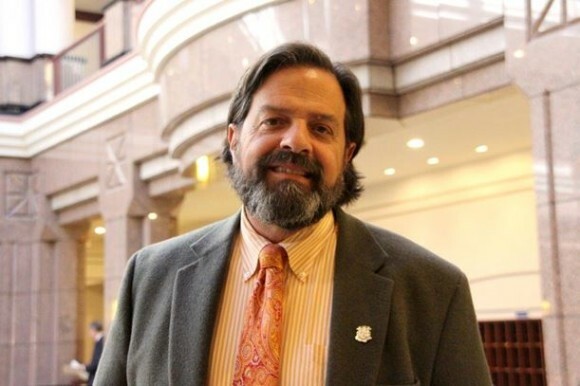 AREAWIDE — State Representative Phil Miller, whose legislative district includes the towns of Chester, Deep River, Essex and Haddam, has introduced five environmental bills in the Connecticut State Legislature in Hartford. Miller’s environmental bills range from limiting the use of pesticides in state parks to limiting the sale of ivory and rhino horns. Miller, who was recently appointed House Chairman of the General Assembly’s Planning and Development Committee, also serves on the House’s Environmental Committee and House Program Review and Investigations Committee. House Bill 5653. Chemicals are of high concern to children — this is a great bill, which gives our Department of Public Health a platform from which to make suggestions to industries regarding potentially harmful ingredients. It is being opposed by industries who feel they can adequately self-regulate. And I have a bridge for sale! House Bill 6837. Pesticide use at state parks, athletic fields and playgrounds. We banned harmful pesticides in our pre-K through eighth grades in 2006, but the industry has been bitterly fighting extending the ban to the twelfth grade, as successfully has been done in New York State. The state should set the example by succeeding at sustainable turf maintenance at state properties first, and then we can further uphold children’s safety. It is ironic that I am petitioning the Essex Conservation Commission to refrain from spraying pesticides at the Bushy Hill Preserve, where tadpoles should eat mosquito larva underwater and birds and bats should take care of the flying adults. Senate Bill 349. Single-use, carry-out plastic and paper bags and the use of reusable bags. We are trying to phase out plastic and limit paper, and encourage new standards for reusable bags to combat the environmental and public health problems borne from plastic pollution. This is being worked on, so we can get it right to make a difference. House Bill 6035. The Long Island Sound Blue Plan mandates accurate mapping and biotic inventories to maintain and enhance ecology. House Bill 6955. The ivory and rhino horn ban. There is an Asian- centered, worldwide market in ivory and rhino horn, which we can help stop by banning these materials, with exemptions for antique pieces more than 75-years-old or musical instruments made before 1975. This would aid us in recovering historic pieces to museum collections, while inhibiting trade in newer black market material. We are being opposed by antique dealers and collectors, many of whom have newer pieces in their collections without even knowing it. This bill is of special concern to us locally, because Ivoryton and Deep River were the world centers of ivory manufacture a hundred years ago, and we have come to terms with our past being complicit in an earlier slaughter, which, in turn, has inspired the present illicit industries of Asia that stretches from Africa and around the globe. Pesticides harm water and soil quality and are linked with cancer, birth defects, behavioral disorders, developmental delays, and they are ever more concentrated further each year as the pests evolve to kill the lawn. In addition to the bills, the budget has some dire consequences for the environment because it would defund the Clean Water Fund, the Water Planning Council and the Council of Environmental Quality (CEQ) — a very effective watchdog presence.